LAWRENCE — In ethnic enclaves, Mexican immigrants tend to spend less on food per week while East Asian immigrants spend more, which could explain the difference in assimilation rates and contrast in ethnic population density among the two groups, according to a University of Kansas study. The findings address questions on consumer behavior in the ethnically dense areas concentrated with businesses owned by immigrants of the same country. They also examine potentially why certain ethnic groups prefer to maintaining these types of enclaves instead of integrating their businesses more into the mainstream economy, said researchers ChangHwan Kim, professor of sociology, and Scott Tuttle, sociology graduate student. Most past research on immigrant enclaves has only focused on how the conditions affect entrepreneurs in these metropolitan areas, and it has typically shown that Mexican-immigrant entrepreneurs tend to be less successful in ethnic enclaves than small business owners in other ethnic enclaves, such as Koreatown in Los Angeles. "If we look at the flip side of this, it might benefit consumers," Kim said. "For Mexican immigrants living in Mexican communities, their cost of living is less." The researchers will present their findings Aug. 12 at the American Sociological Association's annual meeting in Philadelphia. Tuttle said they wanted to understand the complexity of enclave economies by examining how East Asian immigrants have higher assimilation rates as entrepreneurs than Latin American immigrants, particularly those from Mexico. "We just want to try to understand why," he said. "Once we controlled for all the related variables, like income, educational level and whether they speak English, the level of spending on food is still a factor." 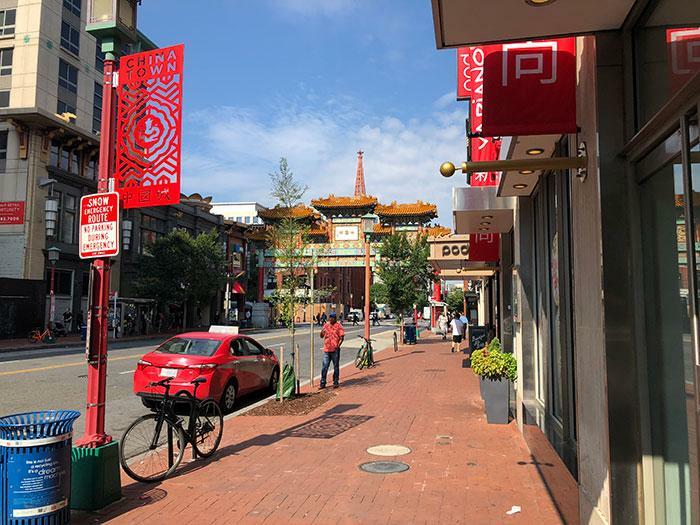 He added their findings also could implicate that for East Asian immigrants, living in ethnic enclaves might pose as a penalty for them as consumers. "This might help explain, at least partially, why East Asian immigrants are less likely to self-select into enclave areas," Tuttle said. The researchers examined the effect of co-ethnic immigrant density on degrees of consumer spending per week on food using data from the 1995-2015 Current Population Survey. As part of the survey, respondents report how much they spend per week on groceries. They also found a difference in density among metropolitan statistical areas, or MSA, between the two immigrant groups. The East Asian immigrant density per MSA never exceeded 8 percent, but in some MSAs the numbers of Mexican immigrant density were as high as 58 percent. "Of course, it's doubtful that the cost of groceries is the sole explanation, but it might shed some light onto the next series of steps future researchers should take," Tuttle said. Kim said the findings could also explain the performance of business owners in these enclaves and how they fare economically, but the effect of what it means for consumers has been overlooked. "Mexican immigrants as businessmen or women can be beneficial to Mexican immigrant consumers," he said.